Ariana is counting down the days until her wedding to Jesse. They have been friends longer than Ariana can remember, and that friendship turned into love over the past couple of years. But when Ariana’s brother Tobias, who happens to be Jesse’s best friend, gets them both into trouble, Ariana’s father puts an end to her engagement to Jesse. Some summer storms pass quickly, but Ariana is afraid the damage from this one may be too much to repair. Summer Storms features a new cast of characters, including Ariana Smucker, her boyfriend Jesse Zook, and her brother Tobias Smucker. Ariana and Jesse face some tough issues together, which are a test of their relationship. In this story I explored a temptation that many young people face–alcohol. I had a lot of fun writing about Ariana and Jesse, and I hope readers enjoy their story. 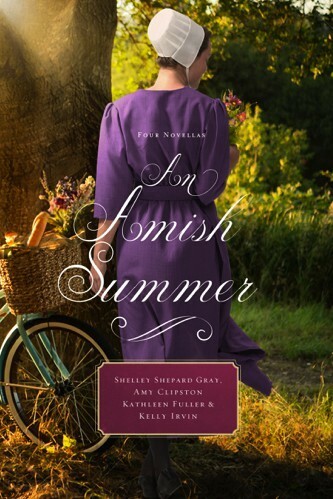 You will see Ariana, Jesse, and Tobias again in my upcoming story Where the Heart Is, which will be featured in my Amish Sweethearts novella collection coming in January 2018. I dedicated this story to all of the awesome members for my street team, the Bakery Bunch.